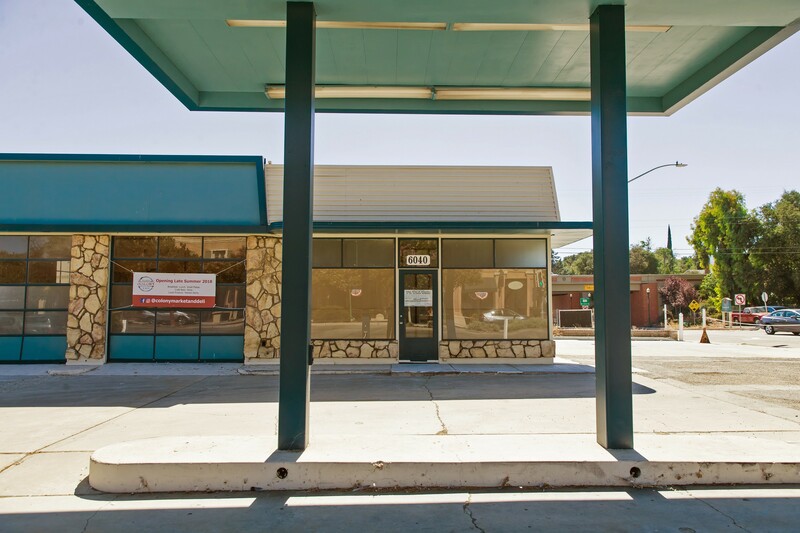 Two miles south of downtown Atascadero, there is a building that's essentially split into three. A barber shop and an insurance office take up the front, with a home connected to the back. Dan Phillips owns both the building and Dan's Barbershop, which he established in 1961. "When I came here, we were between 5,000 to 6,000 people. Now we're probably about 30,000," Phillips said as he reclined in his vintage burgundy and silver Koken barber chair. 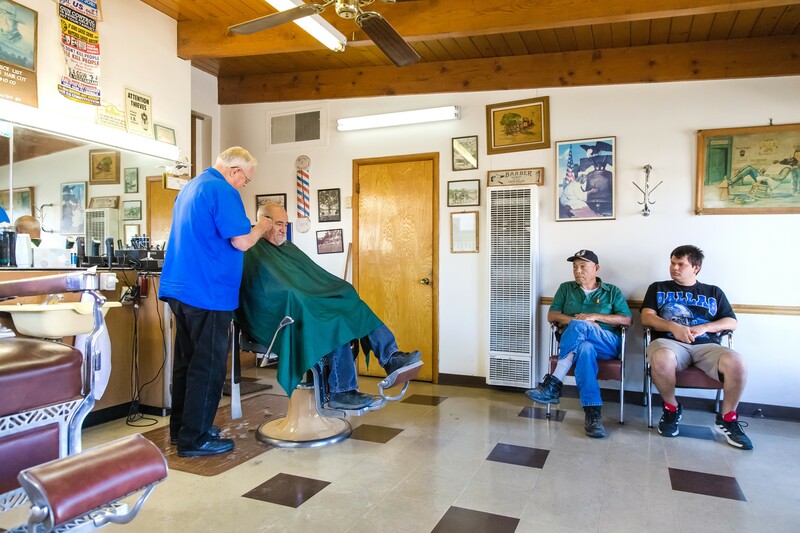 PAGE OUT OF HISTORY Dan Phillips has been cutting hair in his barber shop since 1961 and has watched Atascadero change through his front windows. When he and his wife, Ramona Phillips, moved into the neighborhood in the '60s, the couple was attracted to the city's small-town feel. 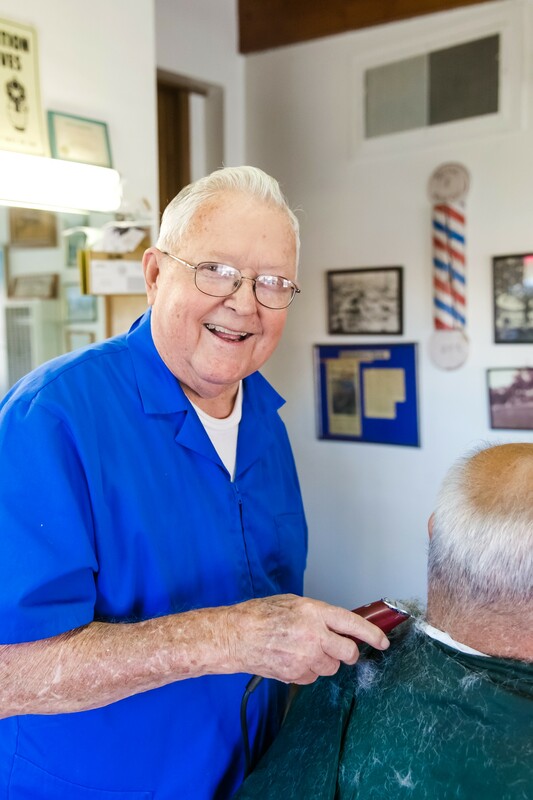 After returning from the Korean War, Phillips swapped his job in the oil fields of Orange County to take a chance on cutting hair in Atascadero. The desire for a lifestyle change, Phillips said, came after the couple began to see how fast-paced Orange County was already becoming. 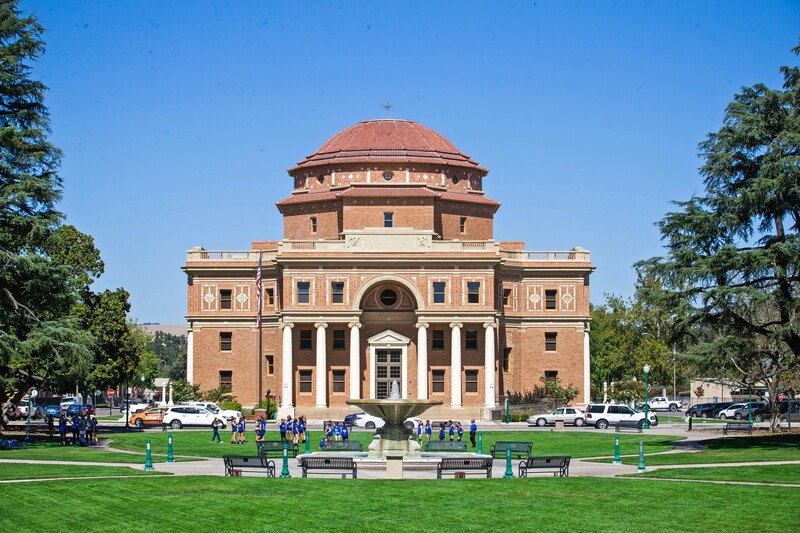 Both Phillips and Ramona came from small-town upbringings, so Atascadero was the perfect place for them to raise their family. "I was almost 29 when I first came here and I didn't know a soul. My brother came up from Arroyo Grande, and we put this barber shop in together," he said. There were no sidewalks, no gravel or paved roads, and there weren't as many businesses surrounding the barber shop. "Haircuts back then were $1.50. I came here the first day, and I did one haircut. I told my wife, 'I don't know if we're going to make it,' you know," he said. Phillips is now 85, and he has a sign above a large mirror in front of his barber chairs that advertises haircuts for $10. He crossed his hands in front of his blue barber smock, recalling the names of the mom-and-pop grocery stores that used to exist in the area. "There was Kelly's Market across the street, there was Glen Oaks, and Henry's Market. 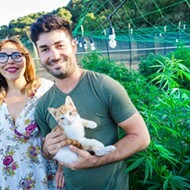 Then the bigger markets started to come in, you've seen it happen in lots of communities to small mom-and-pop stores, and that was the end of them," he said. He's seen a lot of changes when it comes to businesses in the city, especially in the community's downtown area. "[Atascadero] is trying to keep people downtown, but if you want a good pair of shoes or pants, you'll have to go to Paso Robles or San Luis Obispo," he said. "I go down there once a year to City Hall to pay my dues for my business license and occasionally to have dinner with my wife." BUZZING CONVERSATION At 85 years old, Phillips is cutting hair and listening to the people of Atascadero who sit in his seat until 5 p.m. Historically, Atascadero has been dubbed a bedroom community, meaning most of its residents venture outside of city limits to work, shop, and dine. It's also a label that suggests the community has little commercial or industrial activity beyond a small amount of local retail businesses. That's something the city is collaborating with business owners to change. The city is working to upgrade its main road to attract people to businesses, developers continue to invest in the area with new projects, and business owners are banding together to bring in foot traffic. The city's community development director, Phil Dunsmore, and public works director, Nick DeBar, told New Times the city has the layout to shift away from the commuter town label. Dunsmore said the community has about the same population as Paso Robles, but Atascadero has a higher income per capita. ENTERTAINMENT Historically, Atascadero has been a place where people lay their heads to rest, but the city wants to break with tradition and make it a destination where people shop and dine. 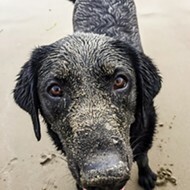 "We've got 30,000 people here within 15 minutes of the beach and right next to wine country. This should be a place that has a healthy balance of the downtown community and residential. That's why we're striving so hard to make this piece of it fit because it's the piece we're lacking in," Dunsmore said. A part of this effort is upgrading the downtown area in order to support the success of businesses that have popped up in the last two years—and the ones that have managed to stick around. "Everyone is buying stuff online. People don't go out anymore to do their shopping, they go out for the experience instead," he said. This led both city leaders to incorporate placemaking when thinking about the future of the city. Placemaking is the concept of community-based participation to capitalize on a local community's assets, strengthening the connection between people and the places they share. 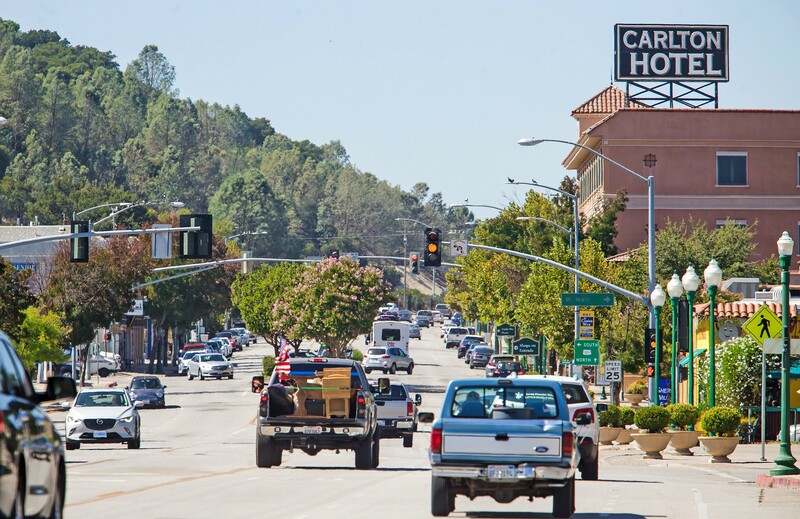 Last year, the Atascadero City Council approved a $100,000 traffic study to examine the impacts of reducing El Camino Real (from Rosario Avenue to Highway 41) from a four-lane road to two lanes. 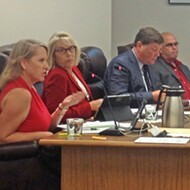 In August, city leaders presented their findings to the public. "It's basically designing a street where merchants and shoppers want to be, while at the same time, accommodating vehicle traffic," Dunsmore said. "Making downtown a place that you can drive to and not have to drive necessarily so quickly through." The redesign would improve the walkability of the downtown area and increase the number of parking spots. Debar said the project is about supporting businesses as well as building a roadway that's useful for more than just moving vehicles. "We want the downtown to be successful, and it doesn't really help when you have cars that are going quickly past businesses," DeBar said. NARROWING PATHS In order to bring more foot traffic to downtown, city leaders are looking to reduce El Camino Real's four-lane road down to two. The study suggests that reducing the number of lanes to two would add 50 seconds of travel time for drivers going north during its busiest hours. DeBar said that would be around the time when parents drop off and pick up their kids at Atascadero's middle and high schools. "The council also wanted us to look into other options, such as having drop zones, which kind of makes sense in the world of Uber. They're kind of looking ahead," he said. DeBar emphasized that safety for pedestrians, vehicles, and bicyclists is a key factor in the project, but it's also another effort to bring people to the area and keep their businesses flowing. "You look out there now and you still see a lot of dead spaces and dead zones, but for every one of those spots, there is something planned. So it's going to look a lot different in two to three years than what it's looking like today," Dunsmore said. On one side of El Camino Real, from Entrada to East Mall, The Carlton Hotel, Street Side Ale House, Sherwin-Williams Paints, and Sylvester's Burgers are some of the businesses that line the road. Across the street, a barren dirt lot and an empty restaurant building have been vacant for nearly a decade. The La Plaza Project approved in April is a mixed-use project that will fill the empty lot space. The proposed three-story building will have commercial space on the ground floor and 42 units of residential space (four condominiums and one-bedroom apartments) above the business. Aside from bringing in businesses, the hope is that the project will also attract people to the area and create solid downtown traffic. INVESTING IN POTENTIAL The La Plaza, a three-story mixed-use project is just one of the various investments aimed at revitalizing vacant spots in the city. Clint Pearce, president of Madonna Enterprises, is another contractor filling in some of the city's gaps with a couple of projects in the pipeline—a proposed residential project, a hotel, and the purchase of a building in Colony Square that once temporarily served as City Hall. He said he believes Atascadero has struggled to maintain a core downtown area mainly due to competition. "Over time, businesses have gone in large part to other communities, but people have chosen to live in Atascadero because it's just a great community," Pearce said. "Over the last few years, I think there's been a lot more interest in getting close to your job. It's about not spending an hour or two hours commuting but more about now living a few minutes from where you can work and spending more time with family." In 2014, the company bought the old Annex property on El Camino Real near Del Rio Road and proposed a $20 million, 120-room extended stay hotel in 2017. It will be part of the franchise Home2 Suites by Hilton Hotel and Resorts. The concept is to provide a space that is more comfortable than your average hotel with amenities such as a kitchenette and the option of adjoining suits. "We're thinking that those extended stay rooms with the kitchenettes will be attractive to not only folks who are on assignment working anywhere in the county but especially for families," Pearce said. In the same vein, he said Madonna Enterprises also has a residential project in the works that will have executive rentals. The rentals are different than vacation homes, as the four-bedroom and two-car garage homes will be maintained similarly to apartments. He uses the example of a doctor who has a short-term assignment at Atascadero State Hospital that would last for a year. "In that short amount of time, where you don't really want to buy because just the transaction cost will eat up any gain you might make even if the market keeps depreciating. So you get your family with you and don't have to commute or live away from home," he said. The same idea is behind the new hub being created out of the former temporary home of City Hall, which Madonna Enterprises now owns. The Atascadero Chamber of Commerce has moved into the building along with a shared working space, BridgeWork, and Wild Fields Brewhouse is coming in 2019. 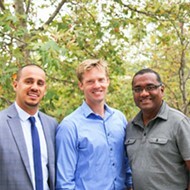 BridgeWork opens the doors for another type of working community to come into the city. With its open layout, Pearce said it offers a different type of office space for startups or freelancers. All of these projects were created with the idea of investing in a community that has a lot going for it Pearce said. "We're one small piece of a much larger puzzle. We're all trying to build a better community up there," he said. 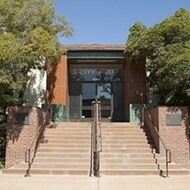 The Atascadero Chamber of Commerce moved into the former City Hall building in March. Chamber CEO and President Derek Kirk joined the organization at the beginning of the year. He quickly jumped in the conversation with the city about starting a co-working space. BridgeWork's layout consists of a couple of private offices, but for the most part it's an open floor space with tables and chairs. Kirk told New Times that there are tech company employees who work remotely from the space, along with graphic designers and realtors. "It's people that live in our community and want a community of people to be held accountable, and in some circumstances, people to talk to," Kirk said. BUSINESS COMMUNITY The Carlton's general manager, Deana Alexander, is one of a few business leaders on Traffic Way organizing a committee with the goal of generating more foot traffic on their end of downtown. It's exciting to see people in a room who are sharing ideas and concepts, Kirk said. In order to be a part of the open space, the base membership fee is $175 a month. It's also a place where the Chamber can learn and collaborate with others on improving the organization and how it empowers its members. That was the focus of a recent change in the Chamber's mission. "There are 586 of your peers in businesses around the community that are doing everything that they can to support you in the hopes that you will support them as well," he said. From September 2016 to now, 127 businesses have joined the Chamber of Commerce. The goal of the Chamber, Kirk said, is to work closely with businesses and provide them with the tools to be successful, ultimately spilling that success into the community. Kirk is finding that more and more businesses are planning to join the Chamber because they are investing in an organization that is investing in them and their neighbors. The Chamber is currently working on developing business plans to help ensure that businesses stick around until this time next year and farther in the future. While the Chamber backs its members, some business owners and managers have taken supporting one another into their own hands. 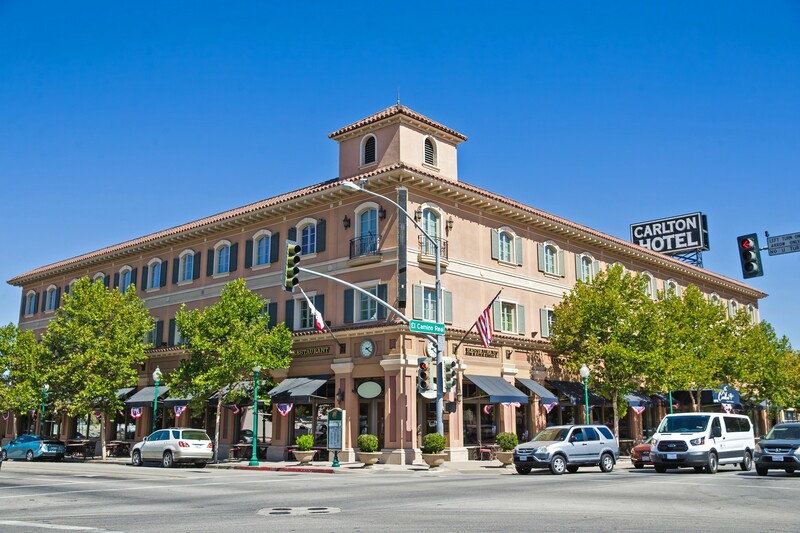 Deana Alexander has been the general manager of The Carlton Hotel in Atascadero for about 10 years. "We have increased our occupancy by leaps and bounds in those 10 years, and part of that reason is Atascadero is becoming a destination rather than just an overflow from Paso and San Luis Obispo," Alexander said. She's part of a committee that has created events to generate foot traffic along Traffic Way. The group that initially started with five members was spearheaded by David Wilson, the owner of Grape Encounters. Although the group doesn't have an official name yet, it already created a successful annual event. Taco Day on Traffic Way started in 2014. 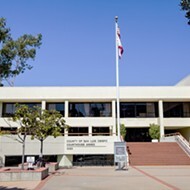 Last year, the event took place between El Camino Real and Lewis Avenue. For $15, taco enthusiasts could visit six different taco stands from local chefs. The booths were set up in such a way that people could weave in and out of businesses on the street. From there, Alexander and other businesses continued to meet and discuss ways to bring people to the area. The committee discovered that there was a business improvement district that had formed in 1986 but eventually stopped in 2009. A business improvement district is a defined area where businesses are required to pay an additional tax in order to fund projects within the district's boundaries. Alexander said the committee is working to bring the district back to Atascadero in an effort to support local businesses. "I would hope with regard to our downtown group that is organizing, that people understand we're all passionate about the downtown and we're here to bring vitality to the downtown," she said. From his red barber chair, Phillips looked out the window facing the street. He said he's seen a lot of change in the 57 years he's been in business.